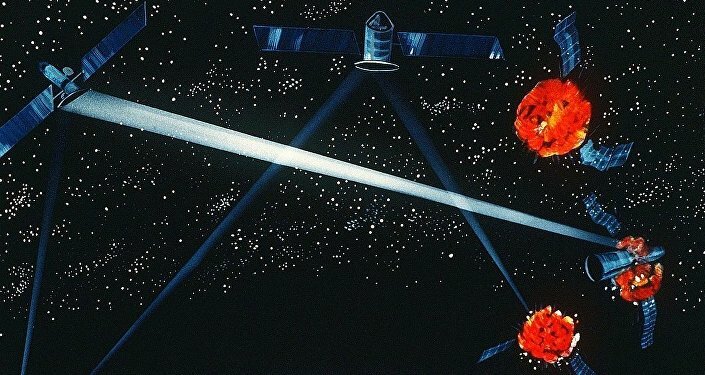 The term “weapons based on new physical principles” was coined in the 1980s by Soviet military officials and used in reference to directed-energy weapons, geophysical weapons and wave-energy weapons, among others. On Tuesday, the Russian Deputy Defense Minister revealed that laser weapons are no longer a novelty for the Russian armed forces however without specifying what they are potentially capable of. RIA Novosti turned to some well-known military experts to find out what are the advantages of the laser based weapon systems. The weapons based on new physical principles, including the aircraft-mounted laser which is currently being developed in Russia, will reliably ensure the national security, according to Igor Korotchenko, a respected Russian military analyst, a member of the Russian Defense Ministry’s civic council and editor of the magazine 'National Defense'. He further explained that a powerful laser system mounted on an Il-76, a multi-purpose four-engine turbofan strategic airlifter, will be able to counter enemy reconnaissance systems. It’s guaranteed to disrupt optoelectronic equipment and field sensors operating in the infrared range in space, at sea, and on land. “It is a known fact that similar military equipment is under development in the US, however the American airborne lasers are mostly targeting foreign intercontinental ballistic missiles and their re-entry vehicles,” the expert said. “And while the Americans haven’t been very successful here, Russia’s aircraft-mounted laser has proved its ability to successfully fulfil the set tasks,” he added. Reports suggest that Russia’s flying airborne laser laboratory first took flight in 1981, and fired against an aerial target in April 1984. However, work ceased in the early 1990s for lack of funds. Korotchenko also noted that unmanned aerial vehicles (UAV) can pose a serious threat when they are able to evade surface-to-air missiles. Then a vehicle-mounted laser will come into play. “Scientific and technical progress in the military sector will inevitably result in development of other weapons systems based on new physical principles, all the leading military powers are involved in such developments and Russia should be no exception to this process, “the expert added. Russian military science professor and the president at the Academy of Geopolitical Problems, Konstantin Sivkov has suggested that the Russian Armed Forces might have already passed into service the laser systems for jamming tank armament command systems. “There might also be laser weapons for the sea-based ballistic missile defense and for jamming optronic surveillance and target homing guidance equipment,” Sivkov said. Leonid Ivashov, president of the Academy of Geopolitical Problems, says that laser weapons could also be used by ground forces to blind the optronic equipment of the enemy. “These weapons will be used, first of all, by the ground forces as blinding equipment. Lasers will blind the optical intelligence equipment and fire control sight systems as well as some command and communication systems,” he said.